Treatment of rabies should be based on history and exposure. One should not withhold treatment while waiting for diagnostic tests. Go Rabies for complete information on this topic. Treatment discussed here focuses on animal exposures where rabies transmission is a possibility. This is the primary concern of the emergency physician. Treatment of human rabies is supportive and often involves therapy for other possible etiologies before specific diagnosis is made, usually postmortem or well into an intensive care unit (ICU) hospitalization. Eliciting a history of recent animal or bite exposures is of utmost importance, as many patients described in the literature were initially sent home by the emergency department. Postexposure prophylaxis (PEP) consists of wound cleaning, vaccination, and administration of rabies immunoglobulin. The 2 rabies vaccines currently available in the United States are the human diploid cell vaccine (HDCV, Imovax) and the purified chick embryo cell vaccine (PCECV, RabAvert). Both are made for intramuscular administration and are equal in efficacy and safety. The vaccine takes 7-10 days to induce an active immune response, with immunity lasting approximately 2 years. Slight erythema may be expected with both vaccines, but any further skin changes should be reported to the health department to determine actual necessity of vaccine. No postexposure vaccine failures in the United States have been reported since HDCV was licensed in 1980. Of 13 cases of postexposure treatment failure that occurred outside the United States, all were from not cleaning wounds, not giving rabies vaccine, or giving rabies vaccine into the gluteal region rather than the deltoid region. 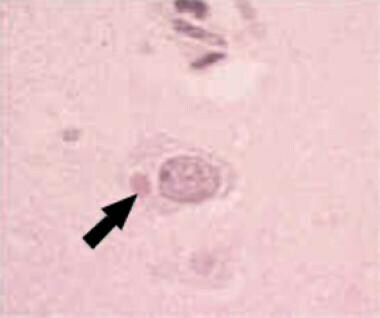 Passive immunization with human rabies immunoglobulin (HRIG, HyperRab S/D, KedRab, Imogam Rabies-HT) provides immediate protection. The immunoglobulin elicits neutralizing antibodies and has a half-life of 21 days. Neural tissue rabies vaccines should no longer be used, although they may still be used in some developing countries. In countries that cannot afford the 5-dose regimen, the World Health Organization (WHO) states that 2 regimens are available that fulfill their requirements. These have been used in developing countries as replacements for the more expensive injections. These injections should be administered in consultation with the Centers for Disease Control and Prevention (CDC). Case reports have documented safe administration of HRIG and HDCV during pregnancy. Immunocompromised persons should receive HRIG and the vaccine as described above but should, in addition, receive a fifth dose, on day 28. Any immunosuppressive agents should be stopped during rabies PEP unless necessary and essential for management of another condition. Previously vaccinated persons include those who have received the 3-dose preexposure series of HDCV, rabies adsorbed virus (RVA), or PCECV; a full PEP; or a previous vaccination with any rabies vaccine with a documented history of seroconversion. For the vaccine, administer 2 doses (1 mL each) into the deltoid muscle on day 0 and day 3. Manning SE, Rupprecht CE, Fishbein D, Hanlon CA, Lumlertdacha B, Guerra M, et al. Human rabies prevention--United States, 2008: recommendations of the Advisory Committee on Immunization Practices. MMWR Recomm Rep. 2008 May 23. 57:1-28. [Medline]. Rupprecht CE, Briggs D, Brown CM, Franka R, Katz SL, Kerr HD, et al. Use of a reduced (4-dose) vaccine schedule for postexposure prophylaxis to prevent human rabies: recommendations of the advisory committee on immunization practices. MMWR Recomm Rep. 2010 Mar 19. 59:1-9. [Medline].